EDI held its first workshop to address standardized intermediate formats, metadata content and data manipulation scripts for thematic data, in this case for long-term surveys of community structure, which are currently in demand by synthesis projects. The workshop was held at the University of New Mexico, Albuquerque, NM. 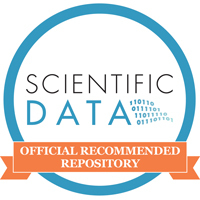 We assembled scientists and data managers to focus on synthetic data assembly and formatting needs, and summarize the formats, code, packaging patterns, metadata content, and vocabularies to build formal recommendations for data providers. More information on the accomplishments of the workshop are available here. Details on EDI’s efforts on data package design in general can be found on our “Data Package Design” page under menu item “Resources” here.